Lexus has begun testing of their redesigned 3-Series fighter. Lexus has been busy lately revamping their entire lineup. After years of producing high-quality, yet mainly bland models, it&apos;s clearly been decided by the Japanese automaker that some necessary changes are in order. Along with a new styling language, the brand&apos;s all-new GS looks great and is a dramatic improvement over its predecessor in every way. And now Lexus has started testing on the new generation IS, as shown by the photos of this early prototype. This mule is still wearing a modified body of the current generation under the new platform, allowing engineers to test the drivetrain and suspension without giving the new shape away. 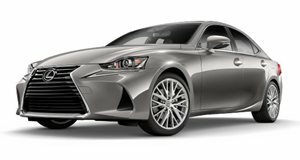 We expect to see the latest styling language featured on the GS to make its way to the IS, which will likely launch sometime in 2014.